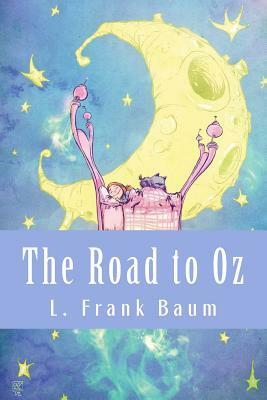 The Road to Oz takes Dorothy and her friends on an adventure in Oz to a grand party in honor of Ozma's birthday. It all starts near her home on Uncle Henry's farm in Kansas when she tries to help a shaggy stranger find the road he is seeking. On the way they find a young boy, Button-Bright, and together they get lost, only to find themselves in the fairylands of Oz. Once again in the Land of Oz, Dorothy and her friends encounter a number of new fantasy characters: some good, some bad, some amusing, and all entertaining. They make their way eventually to the Emerald City to participate in Ozma's Birthday Celebration. In the end, Dorothy arrives safely back home, a little tired from her adventures, but quite content.